The Absentee Report summarizes attendance of your employees during a calendar week. 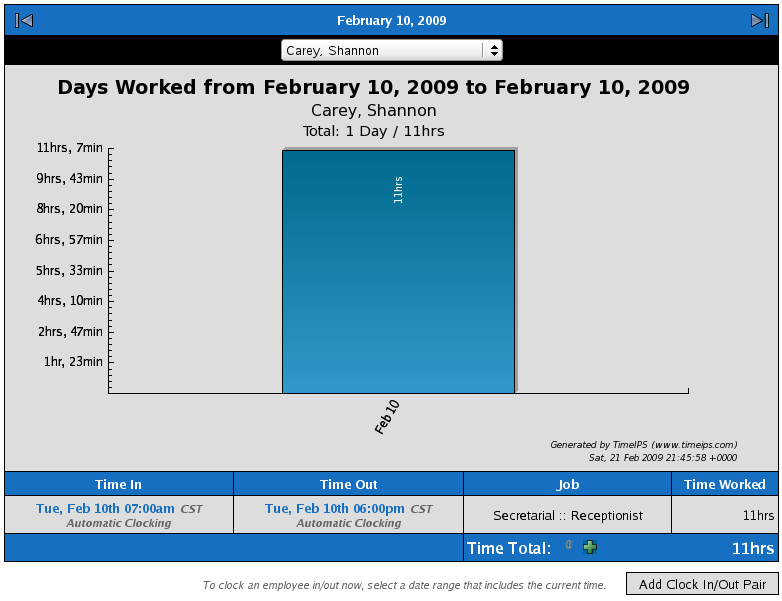 Shows either "Absent" or total hours worked on the calendar day. Enter a day containing the week to view from the drop-down boxes. Select user group from the drop-down box. NOTE: The report will always begin with Monday and end with Sunday. NOTE: To return to the Special Reports page and run the Absentee Report again, click on the Back arrow above the Prev Week link. NOTE: Time Worked displays as decimal hours, rounded to the 2nd decimal place. Minutes are converted to decimal hours by dividing the minutes worked by 60. NOTE: An asterisk next to the hours worked on the Absentee Report indicates that the employee used that amount of benefits hours (such as sick, vacation, etc.) on that day. 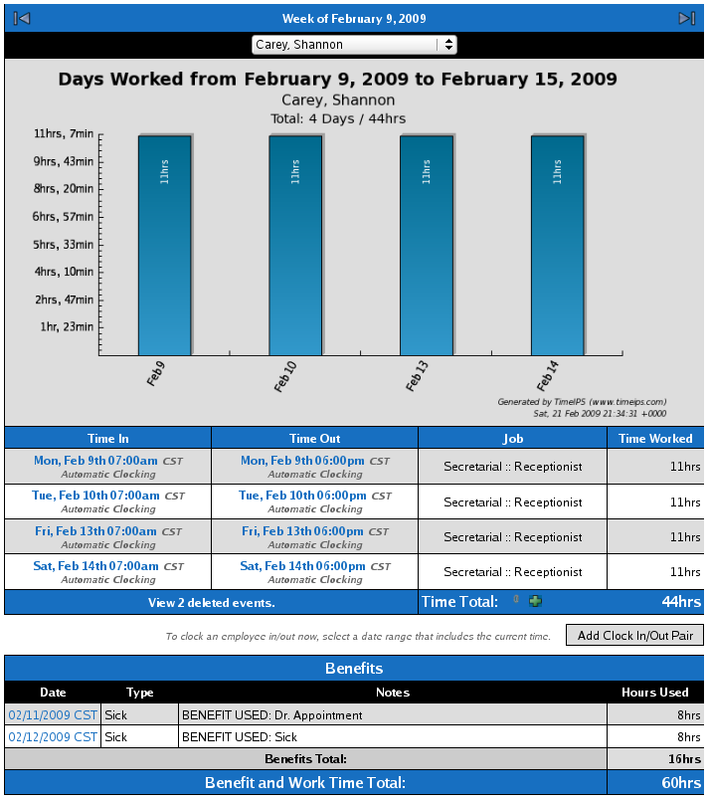 Click on a specific numerical time listing within the report and the system will open a new window with the Time Edit Report but with only that specific date for that employee showing.